The Violin, is the smallest member of this family and so makes the highest sounds, next comes the Viola followed by the Cello and finally the Double Bass. 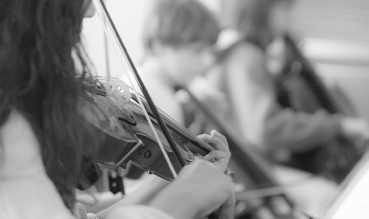 Pupils may start on Violin viola and Cello from year 2. These instruments come in different sizes and the correct one will be advised for each pupil. As the pupils grow they can be moved onto the next size. Pupils would generally move onto double bass after learning one of the other instruments of this group.